A new study has shown that children who consume more fast food are likely to suffer from asthma and allergies in later stage of life. For the purpose of the study, the researchers used the data of over three lakh adolescents in the age group of 13 to 14 years in 31 nations. It was found that intake of fast food for three or more times weekly caused a 39% rise in severe asthma among adolescents and 27% among children. 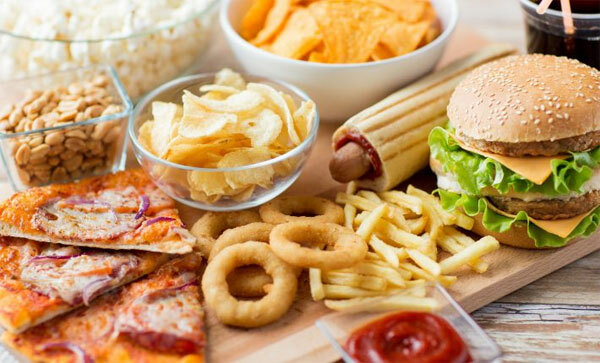 Increased fast food consumption may also cause rhinoconjunctivitis and skin problems such as eczema. However, a fruit diet (three times a week) was associated with lower incidence of lung disorders among adolescents and children. The study underscores the role of parents in ensuring that children eat healthy food rich in fruits, vegetables and grains for health and wellness in adulthood. Since fast food is appetising and capable of creating a sense of craving, parents should take care to give less exposure to such foods.